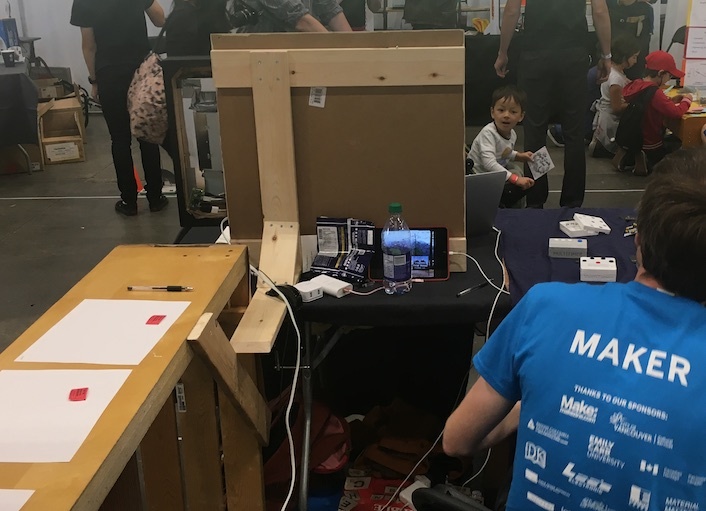 "LPCoverArt", as seen at the Vancouver Mini Maker Faire 2017. LPCoverArt is a project I worked on in early 2017. While mp3 etc. is a logical evolution of the medium, I lament the physical artwork that gives an album some tangible context while you become familiar with the songs. 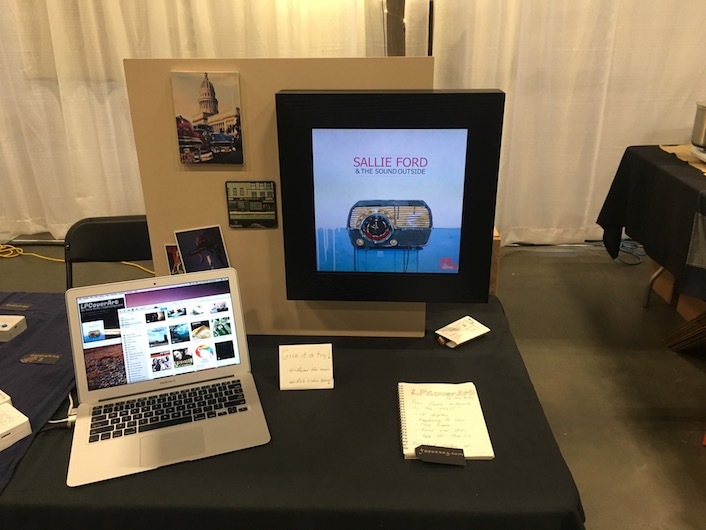 This project involved making an Oak frame with a 19" 4:3 LCD screen inside, which displays the artwork at the very same size as an old vinyl LP. A thick frame border covers up the extra width. It is powered by Raspberry Pi Zero that simply displays a website, and sleeps the display when no music is playing. I created an app for MacOS which hosts the webpage with artwork on it so that the wall-hanging frame can display it. 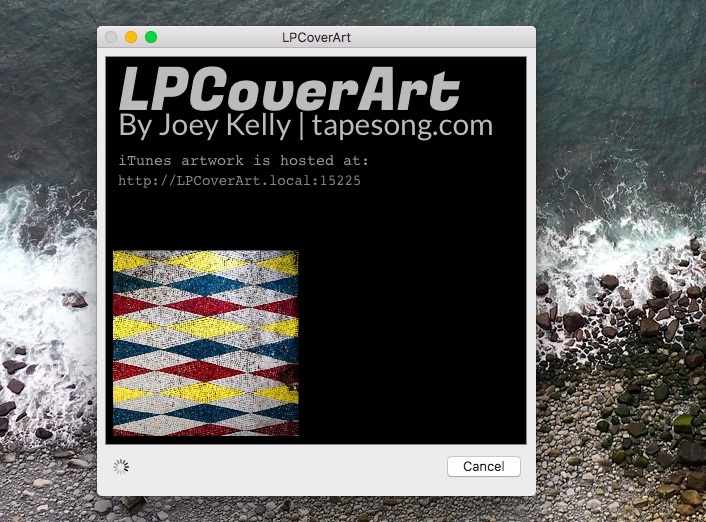 The app picks up the artwork from iTunes via AppleScript. This currently only works with iTunes on a Mac, and presumes the computer is always powered on and awake.